The market was quiet in June, although this was to be expected in the wake of yet another unsuccessful en primeur campaign. Although there was some value to be found among the generally over-optimistic pricing, the majority of those responsible for setting the bar in Bordeaux seemed determined to ignore the prevailing market sentiment, writes Bruce Aston of Aston Lovell. With the diversification of the market, it is unlikely that first growth prices will recover as quickly as they might have done in the past. Presumably, some valuable lessons have been learned and this situation will change with the release next year of the (probably very average) 2013 offering. If it doesn’t, interest will be scarce. The year began promisingly enough. The Liv-ex 50 rose in Q1 by 6.6%, and the feeling in the market was one of optimism. Following a miserable 18 months, during which the Liv-ex 50 index fell by about 30% and the Liv-ex 100 Index fell by around 27%, it seemed likely that a corner had been turned. 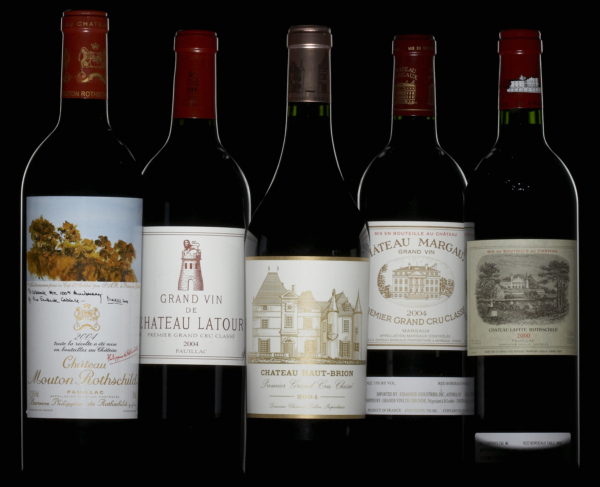 While it was improbable that the first growths in particular would regain the ground they had lost any time soon (their prices – and especially those of any Lafite Rothschild, good or bad, had risen to unsustainable levels) at least the market was going in the right direction. It was then, though, in Q2, that the aforementioned en primeur campaign began, which was when the mood changed. In short, nothing happened fast enough and very little was cheap enough. The most promising wines were released onto the market weeks after they could have been, at too high a price, and the rising market faltered. But all of that is in the past. The important question now is, what does the future hold? The good news is that, while growth has slowed, the market has remained steady. No soaring highs, no impending troughs. It is a fairly safe bet that the floor in terms of the falling value of the first growths has been reached – although that is certainly not to say that any more than average growth from this sector is to be expected. The first growths are now, generally speaking, at sensible values. While on the one hand this makes them affordable again, it is also tempting for investors to believe that the massive and rapid growth in value these wines displayed before the downturn was normal, and that it will happen again. Unfortunately, this is unlikely to be the case. The first growths rose so high primarily because one market was buying them (China). The Chinese buyers have moved on to other areas of the market – they moved on 18 months ago, which is why the prices of the first growths crashed. There is currently no China waiting in the wings eager to start paying silly prices for cases of Lafite, so the growth to be expected from these wines will be commensurate with demand. There are other areas of the market that are, however, showing excellent returns for investors – and have been throughout the year. Different wines, from different areas. If there is a lesson to be learned from this it is that the fine wine market has changed dramatically in recent years, and it should no longer be the default setting of those in the trade to advise investors to buy first growths, lay them down and expect double digit annual returns as a matter of course.